An essential wardrobe item, a leather jacket is one of the most versatile types of outerwear you can own. A good leather biker jacket can be worn with casual outfits and can also make a pretty dress look a bit more edgy if, like me, you don't like to look too overdressed or girly. 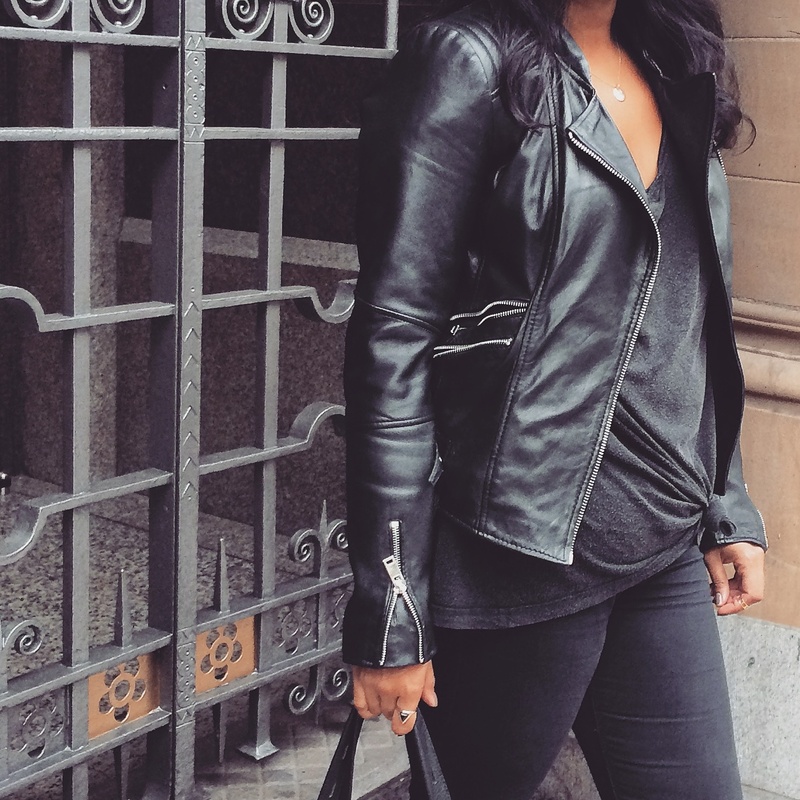 My favourite way to wear a leather biker jacket though is with a distressed tee, black skinnies and converse high tops. A denim shirt would look great with it too. I treated myself to this great find from Zara earlier this month. I love the detail on the shoulder and the way it fits my arms but mostly I love the pockets. I'm obsessed with pockets, they're fashionable and functional and this jacket doesn't have two but three pockets! All of which are deep which means I can fit my phone, keys, cash (and a spare lipstick!) in them comfortably. A rare find when it comes to women's biker jackets which usually have tiny pockets that look cool but actually quite useless.